I would like to revisit the topic of our trip to Israel towards the end of 2018. 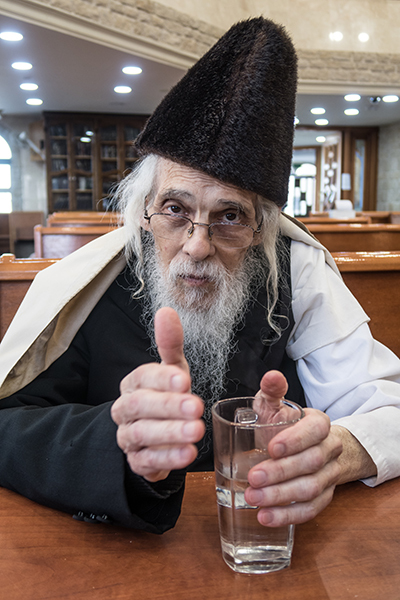 After spending a week in Tel Aviv, we drove to the “City of Kabbalah”. Certain celebrities like Madonna brought the Jewish mystical tradition of Kabbalah to popularity in the 1990’s. But she was not alone. In addition to Britney Spears, Mick Jagger, Paris Hilton and Demi Moore, there are many business people who turn to Kabbalah for guidance and advice in pursuit of profit, while doing good. Actually those celebrities follow a modern, weathered down version of the ancient Jewish tradition of the mystical interpretation of the Bible. It reached the height of its influence in the later Middle Ages (you can find a lot of information about the Kabbalah online). The reason I bring it up is because on our trip, we stayed in Tzfat – or Safed in English, for one night. Thanks to Madonna and her Hollywood friends, it became known as “The City of Kabbalah.” Actually, according to the tradition, the study of the Kabbalah originated about two thousand years ago during the Roman occupation of the Land of Israel, to which they gave the name Palestine in the attempt erase a Jewish presence here. After the Jews were expelled from Spain in 1492, many scholars moved back to Israel and settled in Tzfat. 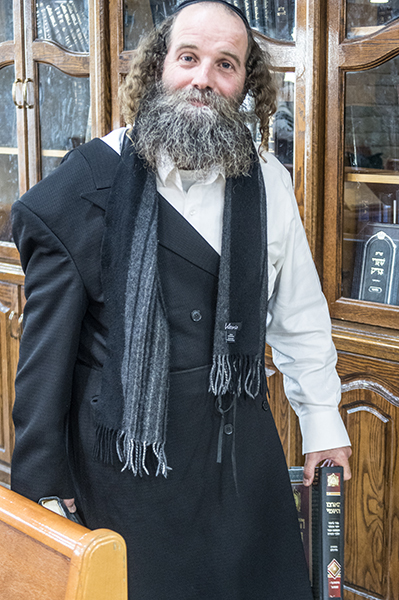 Among them was Rabbi Isaac Luria, or the Ari. Though he lived and taught there for a relatively short time, his teachings formed what is known today as Lurianic Kabbalah. Though Tzfat was mentioned in the writings of the Roman-Jewish historian Josephus, it became better known after the Crusaders captured it in 1099 and stayed there for about 200 years. After them came the Mamelukes (slave soldiers who converted to Islam), who ruled Egypt and Syria from 1250 until 1517, when their dynasty was extinguished by the Ottomans (the Turkish Empire), who in turn were replaced by the British Empire 101 years ago. Through all those years, the Jews managed to stay there and today with a population of about 35,000, Tzfat is one of Four Holy Cities (the other three are Jerusalem, Hebron and Tiberius). 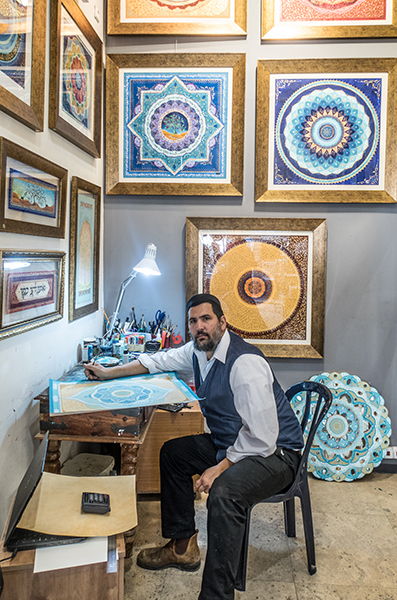 Besides being the center of Kabbalah, it is also known for its artistic colony, where we have always found unique works of art. The word Kabbalah comes from Hebrew “lekabel”, which means to receive. My personal interest for the Kabbalah (some spell it Cabbalah or even Qabbalah) started many years ago. In my personal library I have tens of books, which reference the subject of the Jewish mysticism. The latest book, which I just borrowed from the public library, is titled “Jewish Magic before the Rise of Kabbalah”, written by the world-renowned historian Yual Harari. After reading all of those books, I’ve concluded that it can take a life-long study just to realize how little we actually know or understand of what the Kabbalah really means. P.S. 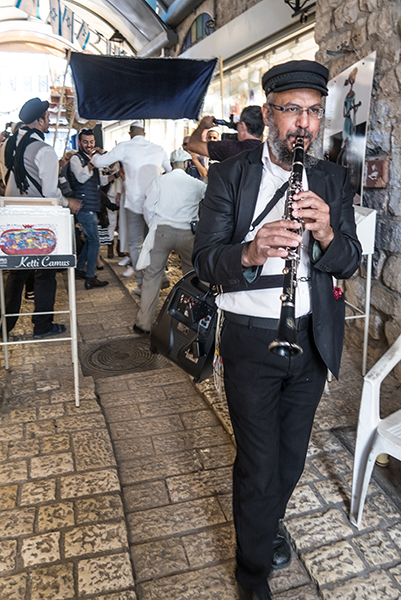 Today Tzfat is a diverse city with a growing population where ultra-orthodox Jews live side by side with the artists. These four images convey the diversity.